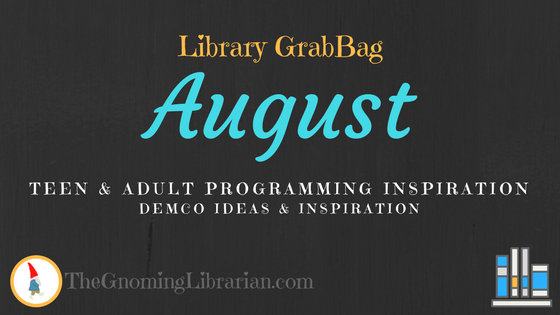 Looking for some programming inspiration for this fall? 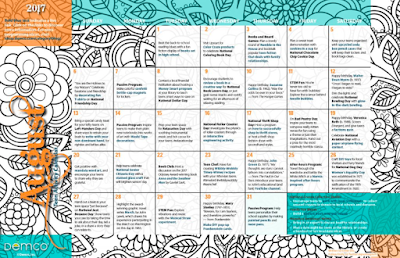 The August calendar is now available on DEMCO's Ideas & Inspiration blog. Check out the STEM, book club, and after hours ideas that you can use as a jumping off point to plan awesome events specifically for your community of teens. Have questions? I'm happy to help you brainstorm the final touches. Contact me at eellis@greenwoodlibrary.us or gnomegrlem@gmail.com! 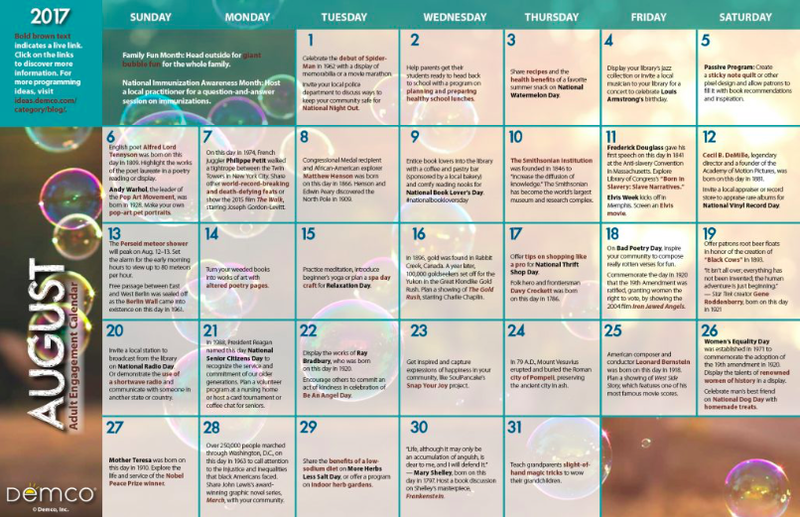 I've also been creating the adult programming calendars for the last few months! 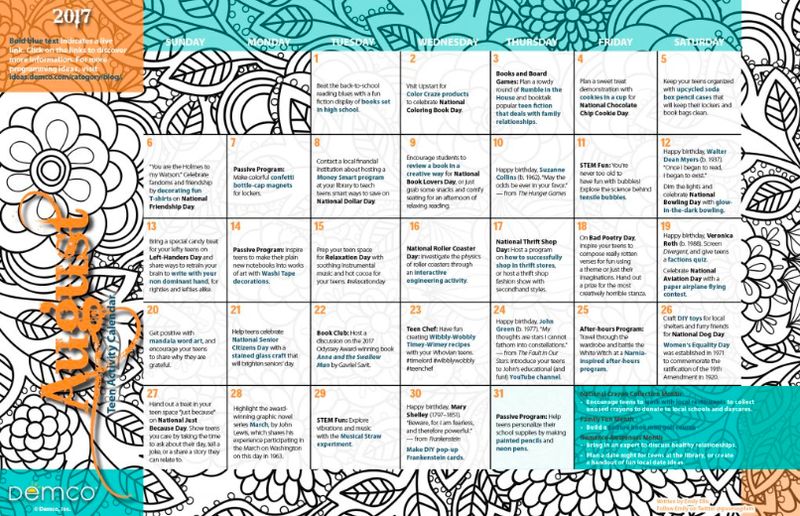 So if that's your wheelhouse, check out some adult and family friendly programming ideas to kick off your fall brainstorming.